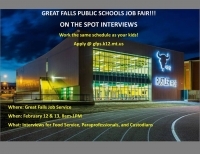 They are hiring for: Food Service, Paraprofessionals and Custodians. 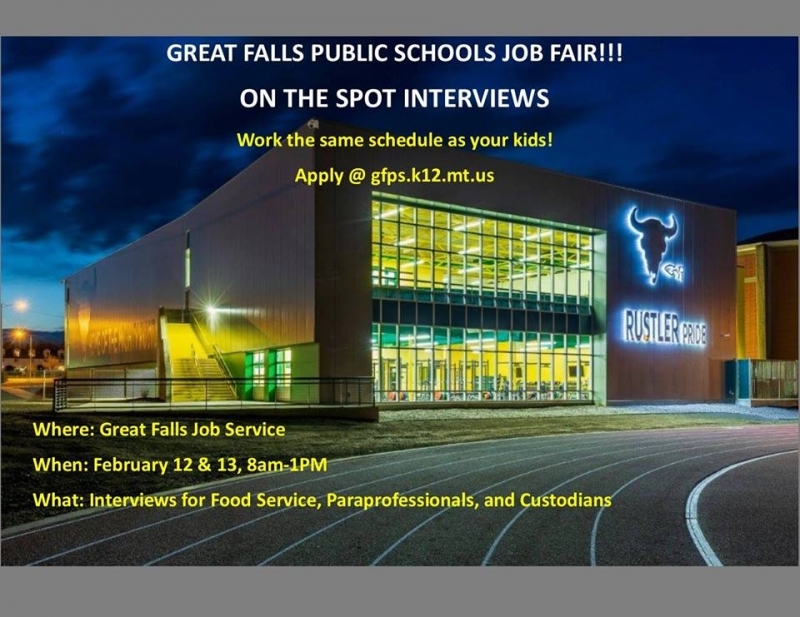 Apply online @ gfps.k12.mt.us. Need help? Come to Job Service before Tuesday and a Workforce Consultant will assist you.